Aim of making this VGA Adapter Board was to give a solution to customers who are looking for VGA output with Viola. 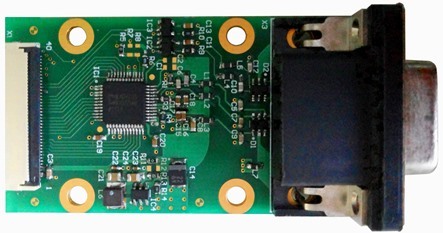 Toradex does not manufacture this board but all design data is available free of cost. The VGA Adapter Board is an add-on board for the Colibri or Apalis carrier boards. The adapter connects to the Unified EDT Interface Display connector on the Colibri or Apalis carrier board using a 40 way FFC to provide VGA output. Connects to the Unified EDT Interface Display connector on the Colibri or Apalis carrier boards. NOTE: Additional series termination resistors on display signal lines might be required to control EMI.